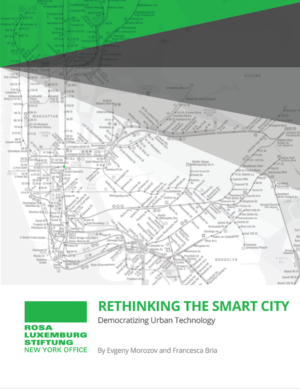 The“smart city” has been quite a trendy concept during the last years. Smart cities make clever use of resources, and attract money, corporate power, and private industries. Laying out what works and what doesn’t in the smart city of today, the authors carefully assess what is at stake and for whom. At the same time, they offer practical solutions for how cities can be smart while retaining their technological sovereignty. Technological Sovereignty: A Potential Solution? The Right to the Digital City: Towards Technological Sovereignty. Creating Alliances Beyond Predatory Digital Capitalism.